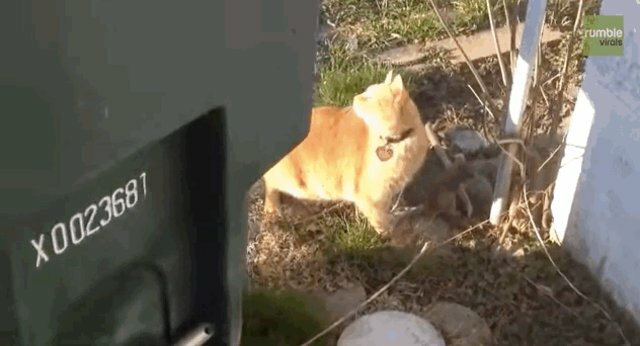 While squirrels are generally expected to flee from natural predators, such as cats, there is always the occasional defiant little critter to break the stereotype. 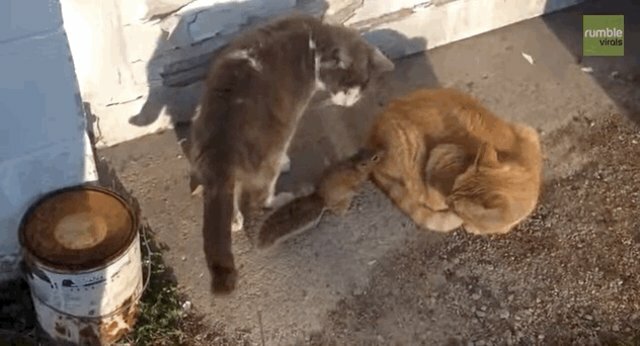 One little squirrel happened upon a few house cats in their backyard and decided that they really weren't so scary after all. Da'Hu the cat was quite perplexed by this furry-tailed newcomer, but showed no interest in capturing the little fellow. 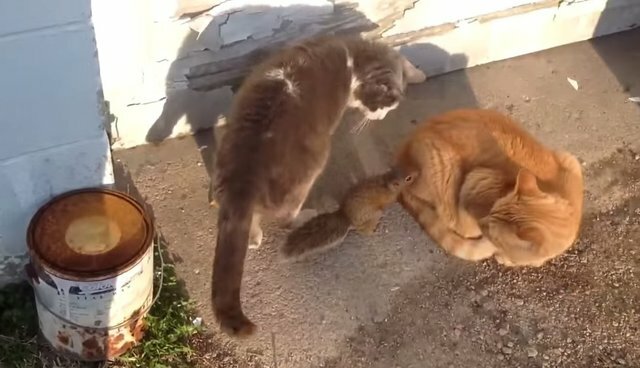 The squirrel went on to share a good "nice-to-meet-you" sniff with Wrinkles the cat. 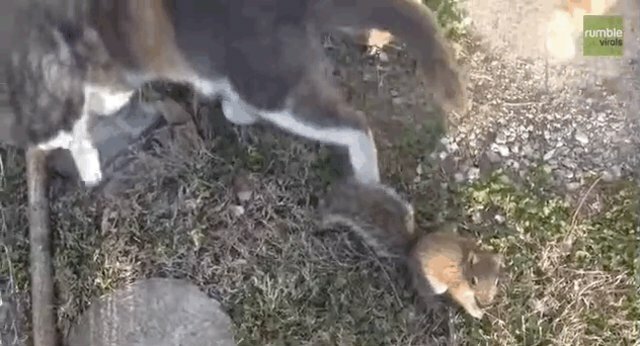 So fearless was the tiny squirrel, that he showed no hesitation in pouncing on Da'Hu! Da'Hu was unsure how to handle this bizarre development and, in true Three Stooges fashion, decided the best reaction was smacking Wrinkles in the face. Though these two cats had no interest in hurting the little squirrel visitor, this reaction is atypical of felines. However, according to feline behavior expert Mikel Delgado, "cats have differing predation levels. Some cats are just more predatory than others, and this also depends on how much other food they have eaten, etc." So it's not completely outside the realm of possibility for domestic cats to coexist peacefully with prey species.